We are back in the land of vegemite, BBQs, beaches, kangaroos and meat pies. After 9 months overseas it's both great to be back amongst the familiar accent, smells and food but our feelings are tempered as its the end of what has been a great adventure. We are looking forward to catching up with family and friends, many of whom we didn't contact as often as we should have while travelling but it's also a time to start a new chapter in our lives. A chapter that is exciting and full of potential but very different from waking up each morning, packing up all our possessions and hiking over a mountain pass surrounded by glaciers. Sydney is home to an outpost of Duncans I haven't seen in many years. My cousins have pretty much doubled their age since I last saw them and it's great to be able to spend a few days with them to see what they've been up to and to introduce Shannan. I enjoy being able to go with them for a weekend morning stroll along the beach in the bright warm sunshine as we search for coffee. Do you recognise this popular Australian landmark? 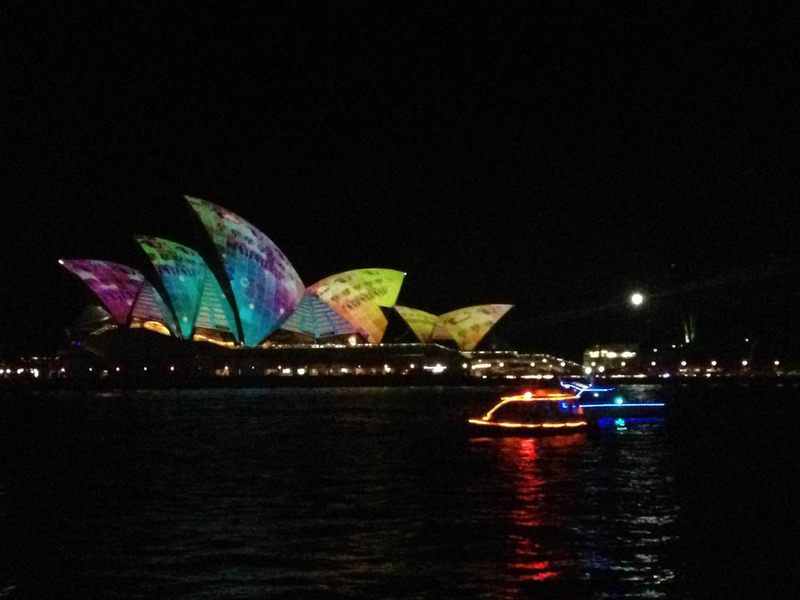 We arrived in time for the last night of Vivid Sydney. A surreal event that turned the Sydney Opera House into a video screen and had interesting art installations around Circular Quay and much of the CBD area. 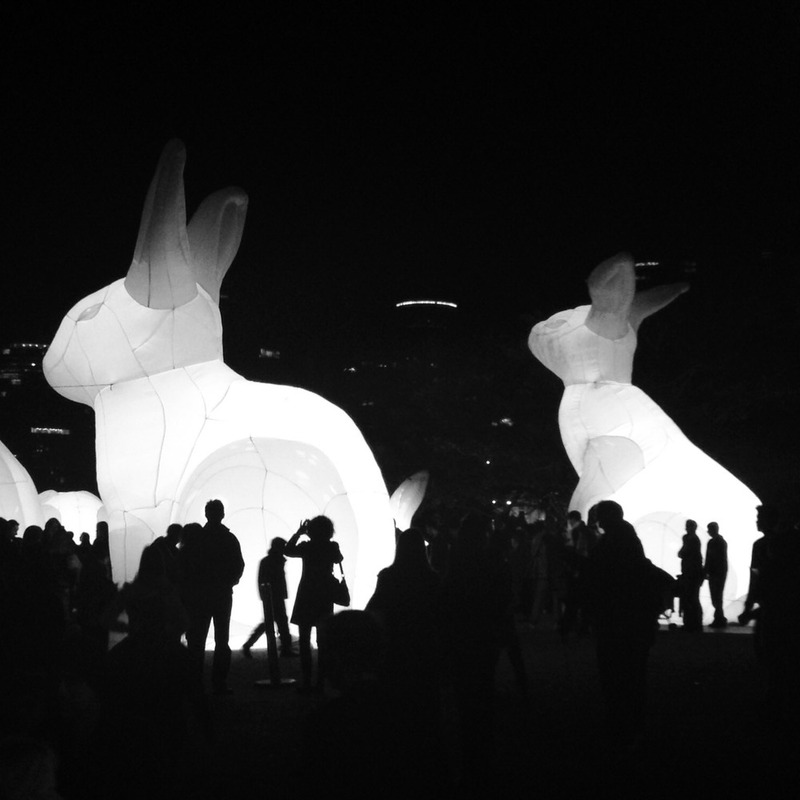 Also, giant glowing rabbits. I also had the chance to meet up with a friend here and we enjoyed touring the harbour on the ferry and raiding the Messina ice-cream parlour, a must-visit if you are in Sydney.